I’ve decided to embrace the new season by refusing to let cold weather bring me down, especially today. It has been ten years since our son passed away and there hasn’t been a day we don’t think about him. Throughout his life time, we had some tough times but many good ones as well. I had to laugh when I found this picture while digging through some old photos. Both of our children loved to dress up in old clothes and play for hours. 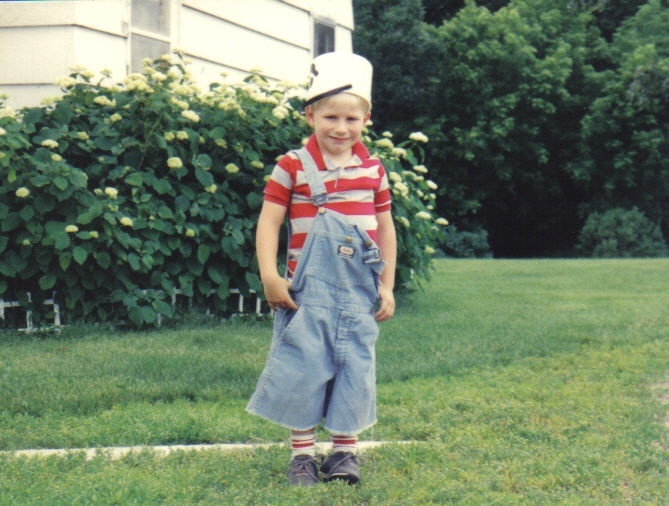 Our son would often put a pail on his head and pretend he was a super hero named “Bucket Head.” Bucket Head protected the neighborhood and his family, especially his sister and the cats around the farm. He would fly into outer space and nothing, not bullets or laughter about the bucket on his head, could hurt him. Every Bucket Head adventure always ended with a happy ending and a hug. Now, as I look at the picture, I wish I could be more like him. He loved the world and wanted it to be a safe place, and didn’t care what other people thought he should do. In his own words, he wanted everyone to be happy no matter what. I guess that’s how he believed every episode in this world should end. We will always love and remember our brave hero who fought against some of life’s greatest challenges and conquered them in his own way. Long live the memory of Bucket Head!